I lost most of my weight (26 extra pounds to be exact) when I started to follow an Ayurvedic lifestyle and really committed to eating an earlier, lighter dinner (which is the secret to losing and maintaining your ideal weight), I chose soups as my go to superfood and dinner option. You just can’t go wrong with soups, whether they are raw or cooked. Add all ingredients to your blender and process until super smooth. 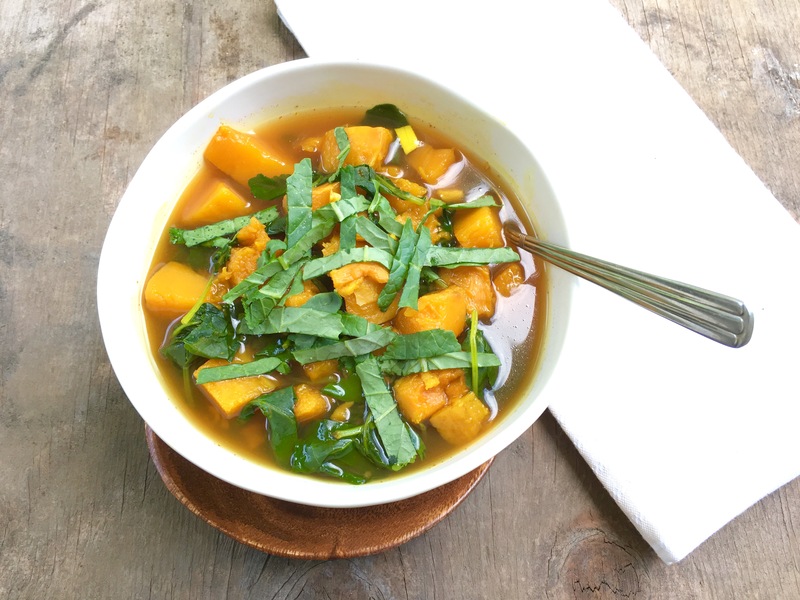 I’ve included a recipe below to get you started on the habit of creating nourishing, easy to digest soups >>> so yummy on a cold fall evening. Add all ingredients to your blender and process until super smooth. Sprinkle some shredded kale on top (totally optional) for a boost of green power! If you’re seriously interested in getting healthy, restoring your digestion and boosting your energy email me at annette@cynyoga.com or sign up to get on my email list. I have a an awesome program I am working on called Restoring your Gut Health so you can fit into your Skinniest Jeans. This program is 8 weeks long, where you will be coached by me twice a month with plenty of one on one time. Your gut is your second brain, and weight gain, mental health issues, and other chronic illnesses all begin there – so let’s get this area of our body working and the rest of your body will fall right into place. Seriously, if your gut is healthy, the rest of you will be as well >>> I’m talking body, mind & spirit. You can also join me on my Facebook page https://www.facebook.com/Annette-316987081735987/ where I’ll be sharing more information, tips and recipes to help you live a happier, healthier, and sexier life.